At Rockett St George we are of the opinion that every home should have a Drinks Trolley! Oozing sophistication, glamour and the perfect furniture piece to store and style your favourite liqueurs and boozy concoctions or your favourite display pieces and ornaments, we just love a fabulous drinks trolley! 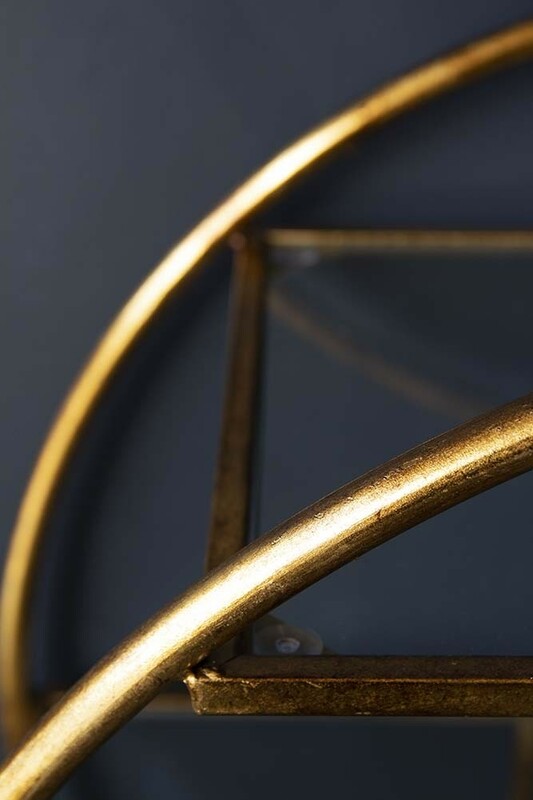 Gilded in gold the Circular Drinks Trolley features a three tier geometric design with wheels for portability. Art deco style, we recommend styling the Circular Drinks Trolley with your favourite boozy liqueurs, quirky ornaments, ice buckets, drinks glasses and glam accessories. 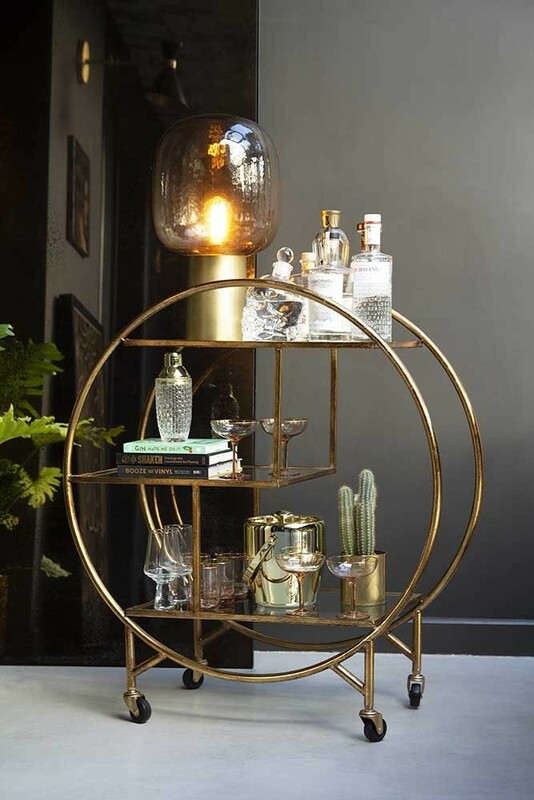 Style the Circular Art Deco 3 Tier Drinks Trolley in your living room, hallways, offices and kitchens for an ultra glam focal point that will elevate your interiors … effortlessly!